Summary: Another day, another small slice taken from our liberty. This is another chapter describing this process, the saddest aspect of which is our indifference to the loss of our hard-won liberties. This was originally part of the previous post about Obama, but its importance warranted separate consideration. Sometimes a regime dies a sudden death, like the Weimar Republic. Sometimes it dies from a thousand small cuts, whittled away, like the Roman Republic. We’re being guided towards a new political regime — slowly, the way a shepard moves sheep. A series of small steps, each reasonable. But it’s a one-way road, down which we’ve gone a long way during the past nine years. By a 6-to-5 vote, the United States Court of Appeals for the Ninth Circuit dismissed a lawsuit against Jeppesen Dataplan Inc., a Boeing subsidiary accused of arranging flights for the Central Intelligence Agency to transfer prisoners to other countries for imprisonment and interrogation. The American Civil Liberties Union filed the case on behalf of five former prisoners who say they were tortured in captivity — and that Jeppesen was complicit in that alleged abuse. Judge Raymond C. Fisher … said the majority had “reluctantly” concluded that the lawsuit represented “a rare case” in which the government’s need to protect state secrets trumped the plaintiffs’ need to have a day in court. This case requires us to address the difficult balance the state secrets doctrine strikes between fundamental principles of our liberty, including justice, transparency, accountability and national security. Although as judges we strive to honor all of these principles, there are times when exceptional circumstances create an irreconcilable conflict between them. On those rare occasions, we are bound to follow the Supreme Court’s admonition that “even the most compelling necessity cannot overcome the claim of privilege if the court is ultimately satisfied that [state] secrets are at stake.” United States v. Reynolds, 345 U.S. 1, 11 (1953). After much deliberation, we reluctantly conclude this is such a case, and the plaintiffs’ action must be dismissed. I agree with my colleagues in the majority that United States v. Reynolds, 345 U.S. 1 (1953), is a rule of evidence, requiring courts to undertake a careful review of evidence that might support a claim or defense to determine whether either could be made without resort to legitimate state secrets. I part company concerning when and where that review should take place. The majority dismisses the case in its entirety before Jeppesen has even filed an answer to Plaintiffs’ complaint. Outside of the narrow Totten context, the state secrets privilege has never applied to prevent parties from litigating the truth or falsity of allegations, or facts, or information simply because the government regards the truth or falsity of the allegations to be secret. Within the Reynolds framework, dismissal is justified if and only if specific privileged evidence is itself indispensable to establishing either the truth of the plaintiffs’ allegations or a valid defense that would otherwise be available to the defendant. This is important, because an approach that focuses on specific evidence after issues are joined has the benefit of confining the operation of the state secrets doctrine so that it will sweep no more broadly than clearly necessary. The state secrets doctrine is a judicial construct without foundation in the Constitution, yet its application often trumps what we ordinarily consider to be due process of law. This case now presents a classic illustration. Plaintiffs have alleged facts, which must be taken as true for purposes of a motion to dismiss, that any reasonable person would agree to be gross violations of the norms of international law, remediable under the Alien Tort Statute. They have alleged in detail Jeppesen’s complicity or recklessness in participating in these violations. The government intervened, and asserted that the suit would endanger state secrets. The majority opinion here accepts that threshold objection by the government, so Plaintiffs’ attempt to prove their case in court is simply cut off. They are not even allowed to attempt to prove their case by the use of nonsecret evidence in their own hands or in the hands of third parties. It is true that, judicial construct though it is, the state secrets doctrine has become embedded in our controlling decisional law. Government claims of state secrets therefore must be entertained by the judiciary. But the doctrine is so dangerous as a means of hiding governmental misbehavior under the guise of national security, and so violative of common rights to due process, that courts should confine its application to the narrowest circumstances that still protect the government’s essential secrets. When, as here, the doctrine is successfully invoked at the threshold of litigation, the claims of secret are necessarily broad and hypothetical. The result is a maximum interference with the due processes of the courts, on the most general claims of state secret privilege. It is far better to require the government to make its claims of state secrets with regard to specific items of evidence or groups of such items as their use is sought in the lawsuit. An official certification that evidence is truly a state secret will be more focused if the head of a department must certify that specific evidence sought in the course of litigation is truly a secret and cannot be revealed without danger to overriding, essential government interests. And when responsive pleading is complete and discovery under way, judgments as to whether secret material is essential to Plaintiffs’ case or Jeppesen’s defense can be made more accurately. Judge Hawkins’ footnote about the Reynolds case, establishing a precedent for government secrets trumping citizens rights. It was a fraud. Abuse of the Nation’s information classification system is not unheard of. Former U.S. Solicitor General Erwin Griswold, who argued the government’s case in the Pentagon Papers matter, later explained in a Washington Post editorial that “[i]t quickly becomes apparent to any person who has considerable experience with classified material that there is massive overclassification, and that the principal concern of the classifiers is not with national security, but rather with governmental embarrassment of one sort or another.” Erwin N. Griswold, Secrets Not Worth Keeping: the Courts and Classified Information, Wash. Post, Feb. 15, 1989, at A25. Former Attorney General Herbert Brownell similarly complained in a 1953 letter to President Eisenhower that classification procedures were then “so broadly drawn and loosely administered as to make it possible for government officials to cover up their own mistakes and even their wrongdoing under the guise of protecting national security.” Letter from Attorney General Herbert Brownell to President Dwight Eisenhower (June 15,1953) (quoted in Kenneth R. Mayer, With the Stroke of a Pen: Executive Orders and Presidential Power 145 (2001)). Even in Reynolds, avoidance of embarrassment — not preservation of state secrets — appears to have motivated the Executive’s invocation of the privilege. There the Court credited the government’s assertion that “this accident occurred to a military plane which had gone aloft to test secret electronic equipment,” and that “there was a reasonable danger that the accident investigation report would contain references to the secret electronic equipment which was the primary concern of the mission.” 345 U.S. at 10. In 1996, however, the “secret” accident report involved in that case was declassified. A review of the report revealed, not “details of any secret project the plane was involved in,” but “[i]nstead, . . . a horror story of incompetence, bungling, and tragic error.” Garry Wills, “Why the Government Can Legally Lie“, New York Review of Books (12 February 2009). Courts should be concerned to prevent a concentration of unchecked power that would permit such abuses. 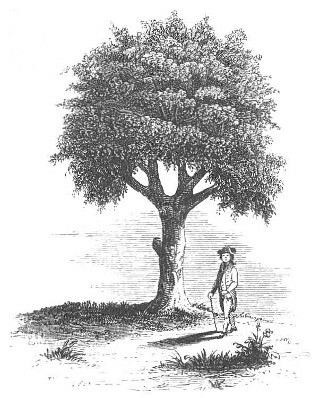 What was the Liberty Tree? Next Post Which political party will best protect our liberties?